Dubai Electricity and Water Authority (Dewa) has selected three companies to collaborate in developing solutions to the challenges that the utility firm will face during its participatiion in the fourth Dubai Future Accelerators Programme. The programme is the largest business accelerator programme in the world. The fourth cycle will be held for nine consecutive weeks from March 21 to May 17. A total of 12 government organisations are taking part in the programme under the theme ‘Take Part in Creating the Future’. 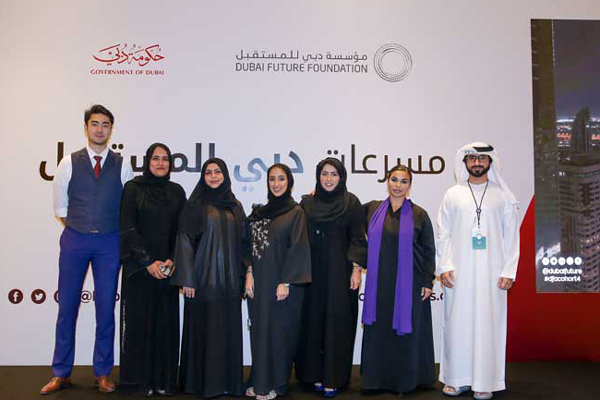 "To support the vision of our wise leadership to anticipate and shape the future, Dewa is participating in the fourth Dubai Future Accelerators Programme, to develop new disruptive technologies that will enhance the quality of electricity and water services, by utilising Fourth Industrial Revolution technologies such as Artificial Intelligence, drones, energy storage, blockchain, Internet of Things (IoT), among others," said Saeed Mohammed Al Tayer, managing director and CEO of Dewa. "In this cycle, we will work with the three selected companies to adopt innovative solutions that will keep pace with the rapid developments and address the future challenges in Dewa’s work. This supports the Dubai 10X initiative, to propel Dubai towards the future, making it 10 years ahead of other global cities," he added. "Our participation in the programme supports our ongoing efforts to consolidate innovation as the cornerstone of continuous growth, development, and excellence in performance. At Dewa, we are creating a new digital future for Dubai through ‘Digital Dewa’, which is the digital arm of Dewa," Al Tayer. This model will disrupt the entire business of public utilities by becoming the world’s first digital utility, using autonomous systems for renewable-energy and its storage, expand the use of artificial intelligence, and provide digital services," he stated.